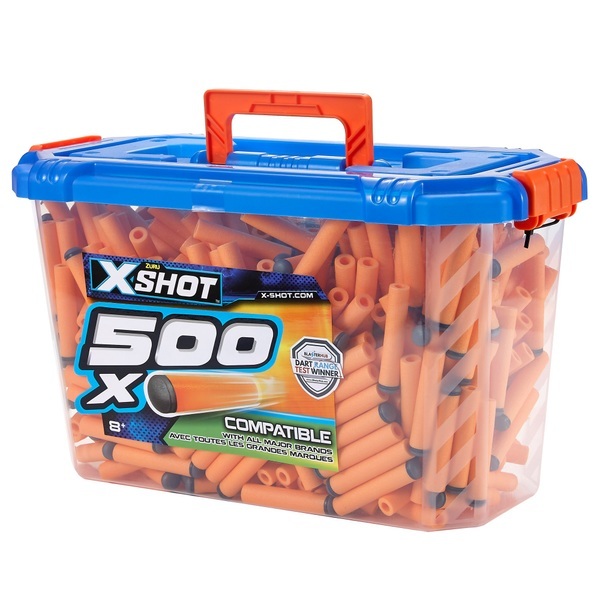 Never run out of darts again with the X-Shot 500 Dart Refill Pack!! Hit your targets with extreme precision from long distances with the X-Shot technology that provides incredible power with great aerodynamics! Compatible with all major dart blaster brands, you can refill most blasters with these award-winning darts with no problem! Chosen three years in a row as the best foam dart blaster ammo in the market, you are sure to be covered in the battlefield!